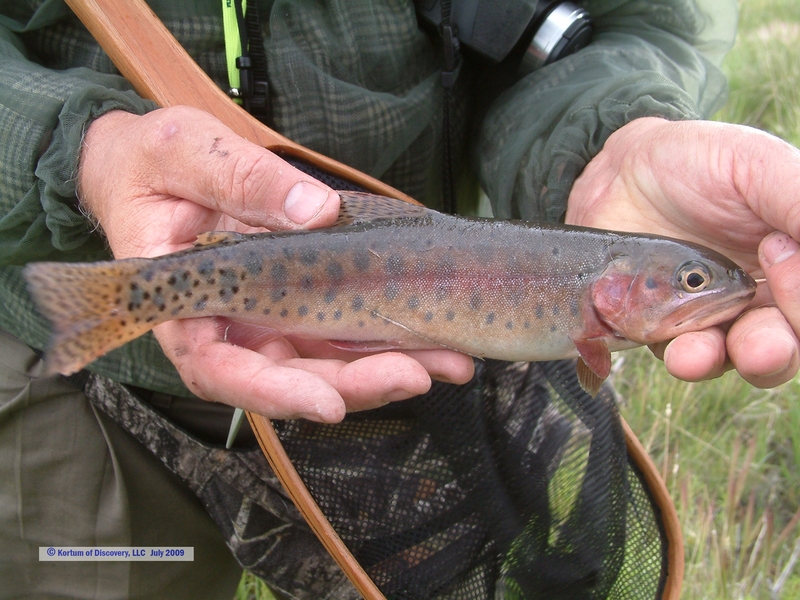 In the 1860’s, Colonel Drew commented that he considered it peculiar how so many trout could exist in what he deemed to be a closed basin – with no outlet to the ocean – nor with any outlet to any other basin . . . Though I suspect that if he, or Lewis and Clark and other explorers of the 1800’s, had had access to the satellite imagery and other fascinating cartographic technologies that we take for granted today – many of the seeming mysteries of their journeys and exploration might have become seemingly ‘trivial’ mysteries to resolve. 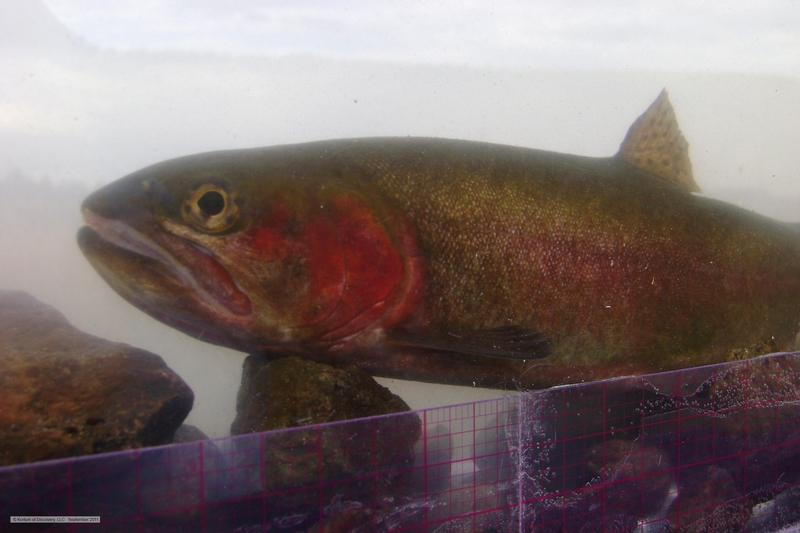 In Ellen Bishop’s book In Search of Ancient Oregon, she explains that many uplifts (that have become formidable mountain ranges today) developed after some strains of trout had already experienced (regional) differentiation. The basin and range was at one time flatter, and its waterways very different than we find them today. The isolated basins that we see today were not necessarily isolated basins during these earlier periods (pages 184-185). Perhaps as telling as the scientific geological research conducted regarding the region – is what any of us can see at a glance via Google Earth or other on-line satellite imagery . . . 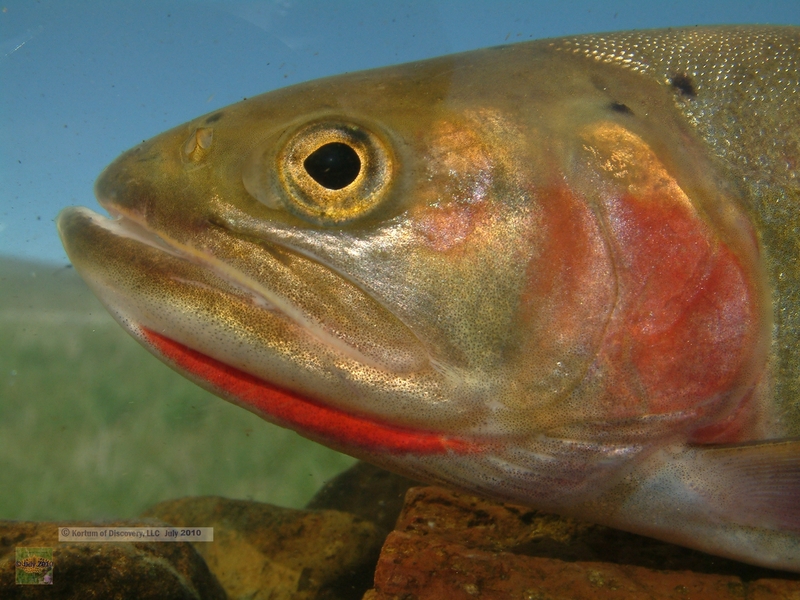 The visible scars of this ancient overflow persist to this very day, and reveal a plausible explanation as to the origins of the distinctive cutthroat trout that we now know as the Alvord cutthroat trout. 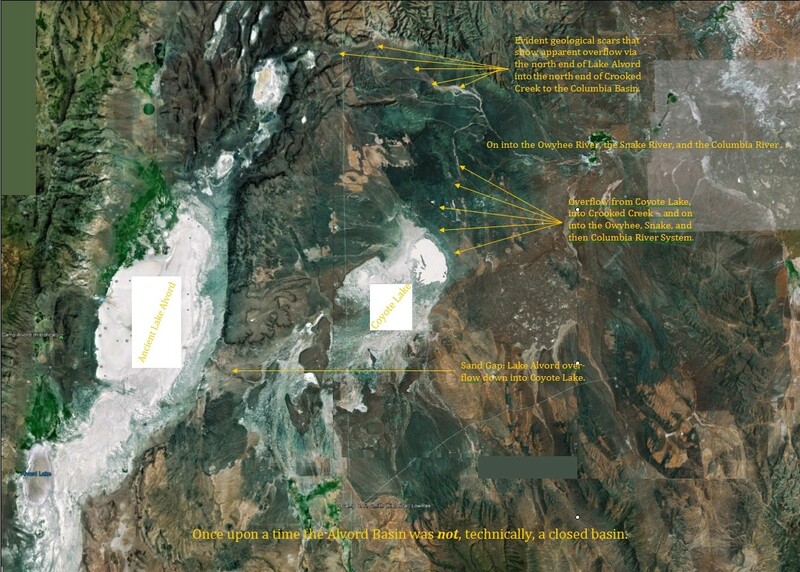 “Once upon a time” the Alvord Basin was not, technically, a closed basin. 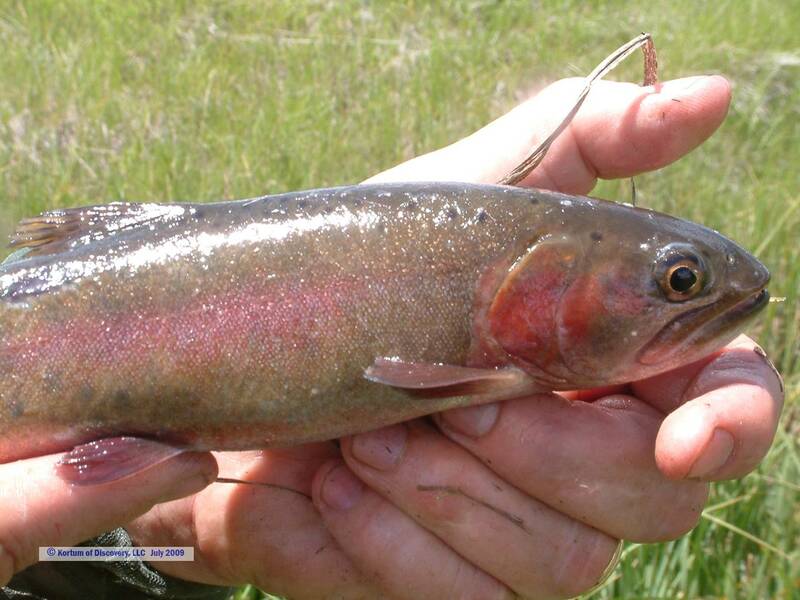 And, as this report reveals, there was a prolonged time-span of interconnection between the Alvord Basin and the Snake River Basin. 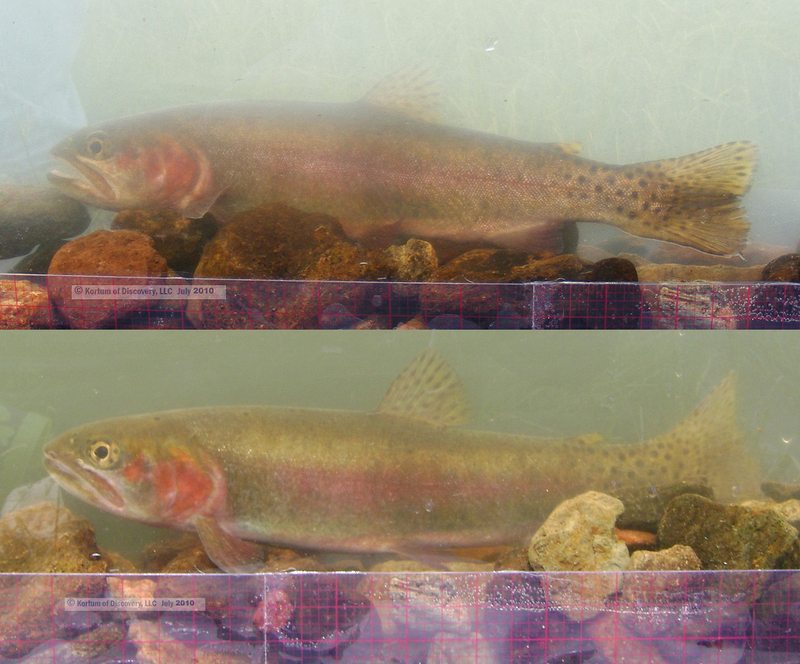 Genetic testing of one of the remnant Alvord cutthroat trout that Robert Smith caught in the mid-1980’s indicated that there were Rainbow alleles extant in this Alvord cutthroat trout of an extremely antiquated origin. Geneticists conclude that these genes entered the pool thousands of years earlier. 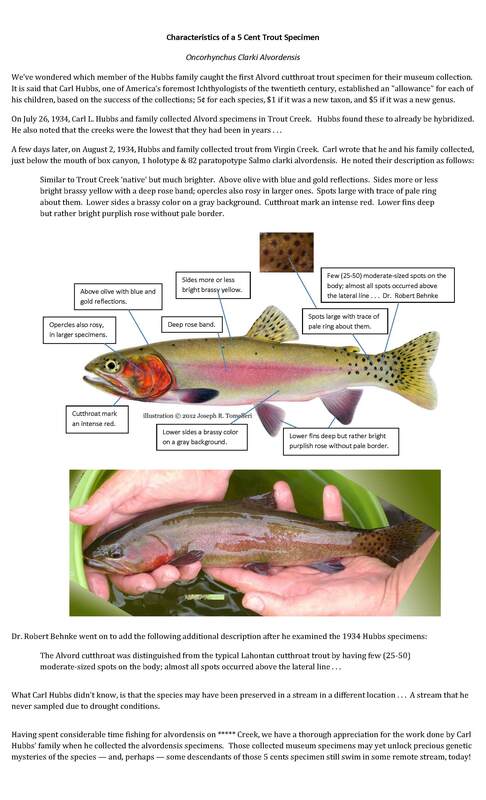 In Trout and Salmon of North America on pages 170-171 Robert J. Behnke expounds regarding early remnants of cutthroat trout in the Snake and Columbia River systems – and of eventual elimination of Yellowstone cutthroat trout in the lower Snake and Columbia Rivers by rainbow trout. 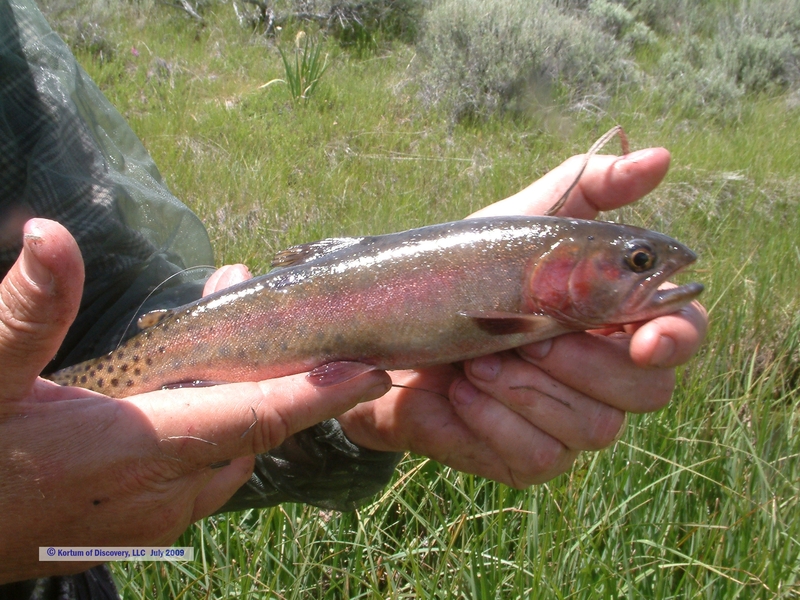 He also touches upon the establishment and survival in some few Columbia Basin tributaries of Westslope cutthroat trout . . . 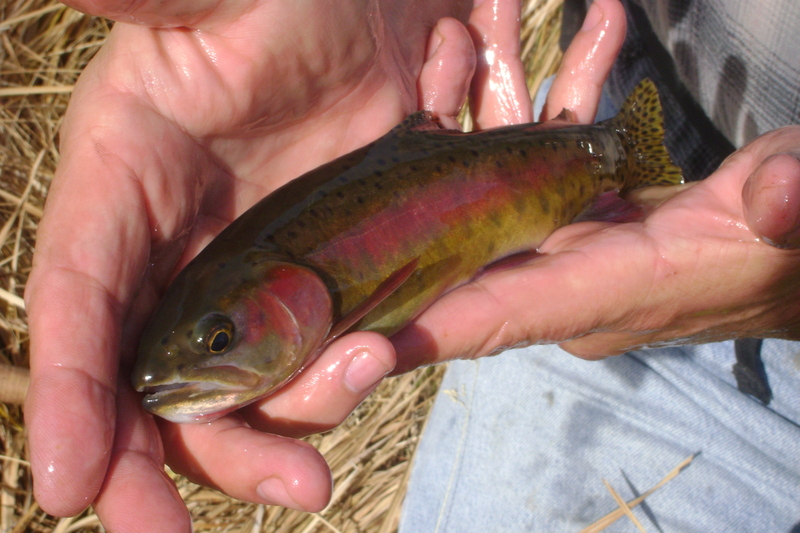 But the significant observation here is that he maintains that Yellowstone cutthroat trout once inhabited the lower regions of the Snake and Columbia Rivers (not just the upper Snake River as today). 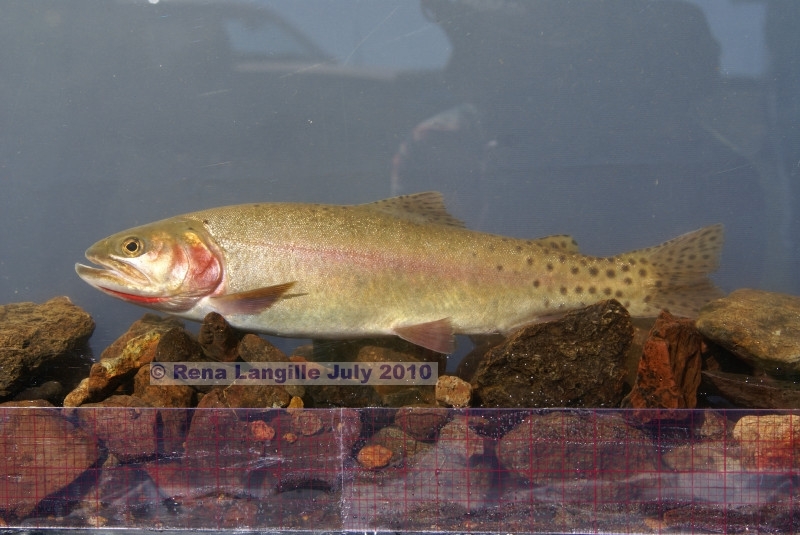 It is also interesting to note that regarding the early differentiation of cutthroat trout in the west, that there are indications that there were common roots for the cutthroat trout that diverged into separate subspecies: the Yellowstone cutthroat trout and the Bonneville cutthroat trout. 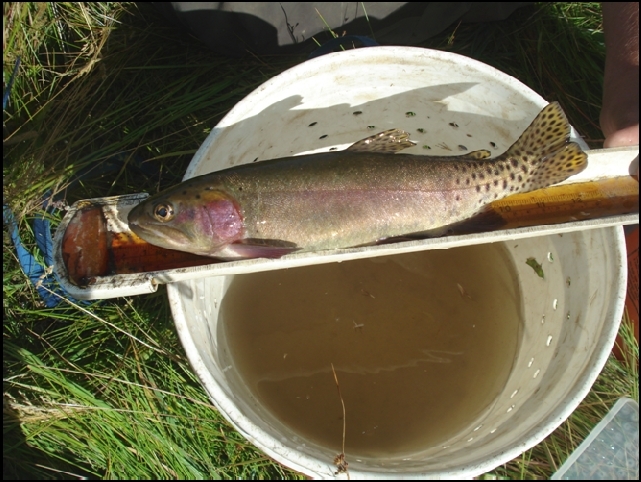 As most of us readily know; trout tend to move upstream – often as far as possible – to find suitable habitat to perpetuate their kind. 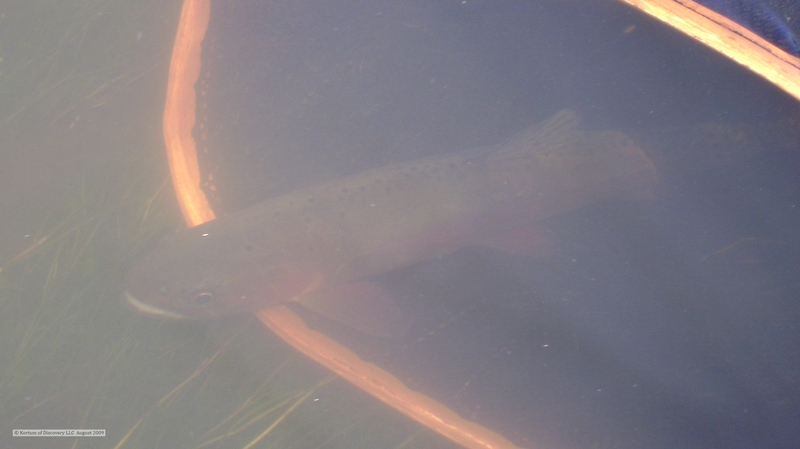 It is ingrained in their nature to diligently swim upstream to spawn. 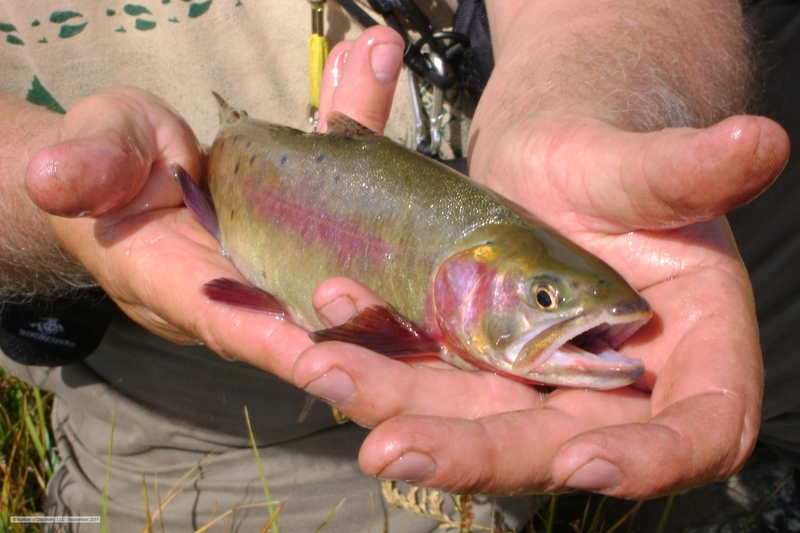 In the distant pluvial past, when a sustained prolonged overflow (even in geological terms) from the Alvord Basin to the Snake River Basin was in progress, it is logical to expect that whatever trout were extant in the Columbia and Snake River Basins would take advantage of this opportunity to migrate upstream – to spawn and to perpetuate their progeny . 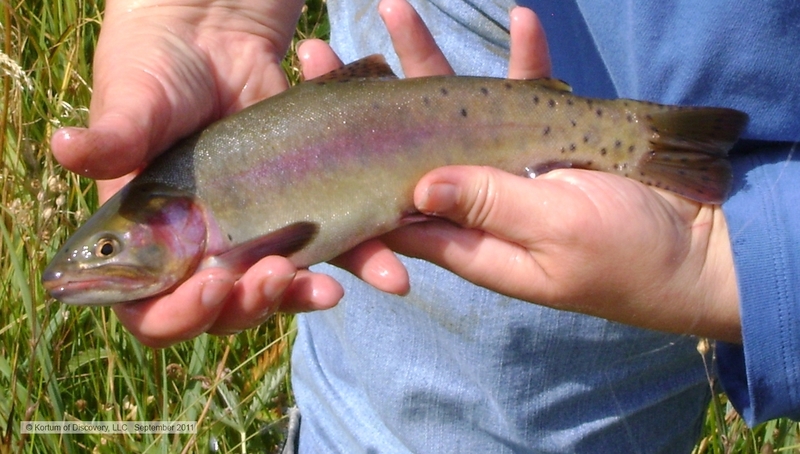 . .
And, if they did; once these trout became established in this huge pluvial basin (Lake Alvord) and its many feeder systems – what would be the outcome when the pluvial age concluded – with the lake beginning to recede, losing its connection to the Snake River and becoming isolated in the process? 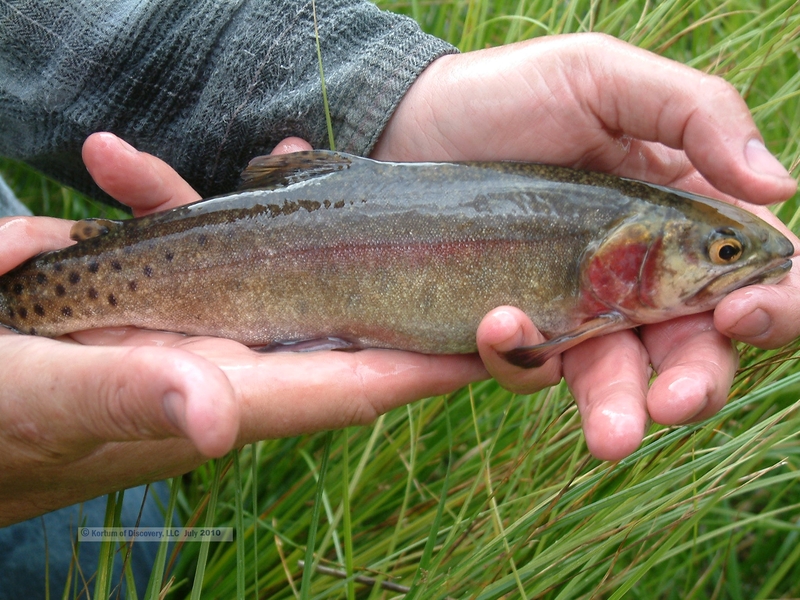 Thus would continue the process of isolation – and the inflexible environment forcing the necessity of adaptation and specialization in order for such trout to survive in this changing environment (increasingly becoming alkaline, less lacustrine, more fluvial – small stream). 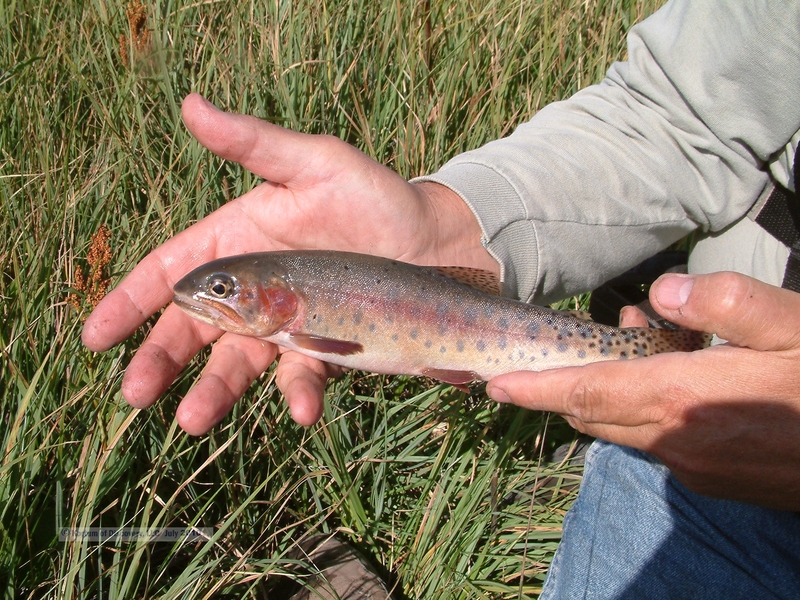 Indeed, some of the meristic and visible evidence of the remnant of phenotypical Alvord cutthroat trout in ***** Creek might seem to indicate more of a connection with the Rocky Mountain varieties of cutthroat trout, in contrast with the Lahontan Basin cutthroat trout that some strictly conclude are their progenitors. 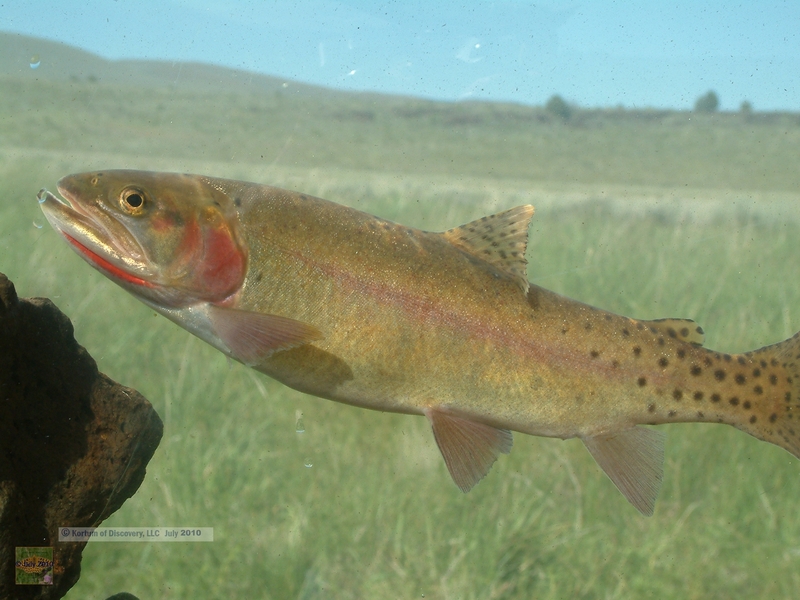 For some, it may seem to be too much effort or contemplation about the history and the origins of the Alvord Cutthroat Trout. 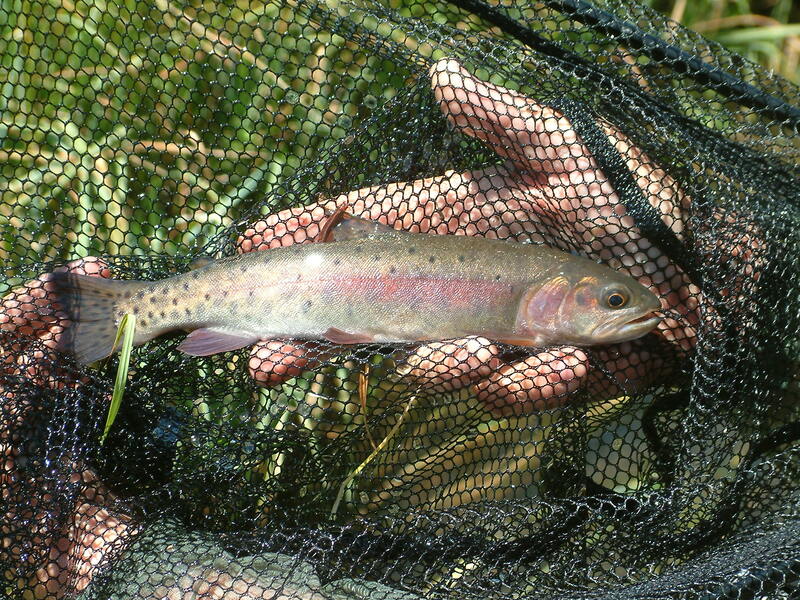 Yet the newly relocated Fish Biologist for SE Oregon, David T Banks, has indicated that it would be a valued benefit if individuals & organizations (such as Trout Unlimited) could assist with funding of the detailed genetic testing of these 80 year old trout; which could help construct a more complete picture of the history of these trout: perhaps strengthening a case for the uniqueness of these remote desert trout. 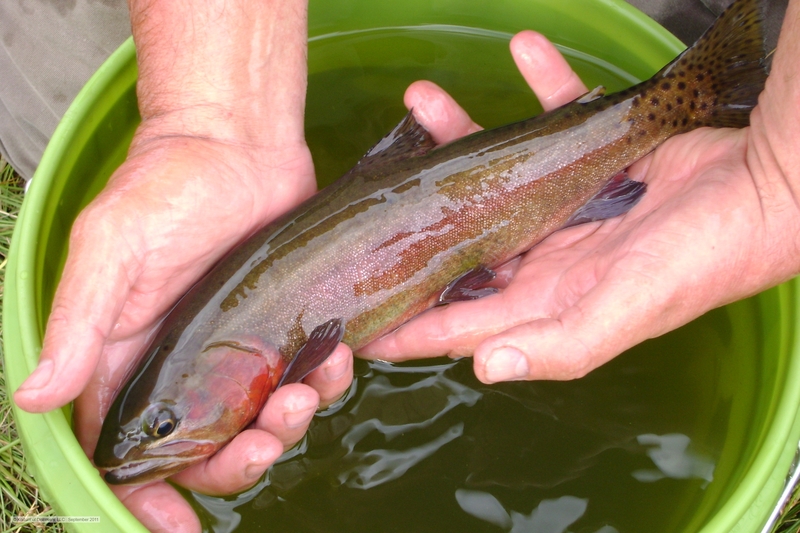 This could perhaps add impetus to the preservation efforts of the remnant of phenotypical Alvord cutthroat trout now extant in a SE Oregon hatchery. 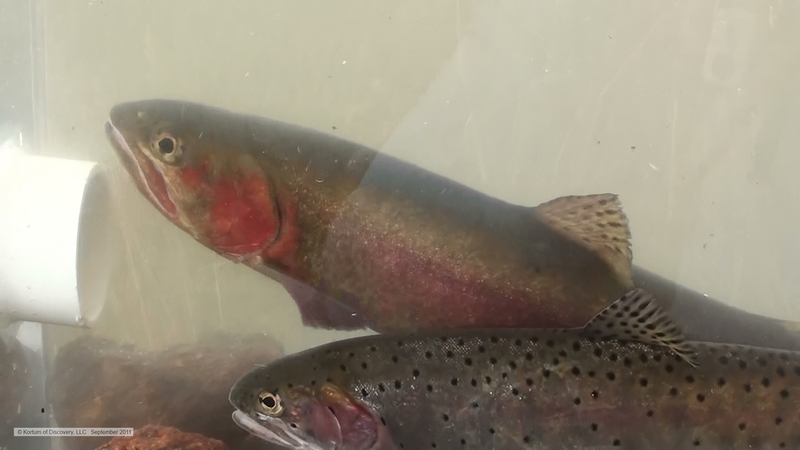 The prospect for survival of trout with the visible characteristics of the Alvord cutthroat trout seems to be inextricably bound to the few dozen trout now anticipating an introduction into fitting waters this next season. 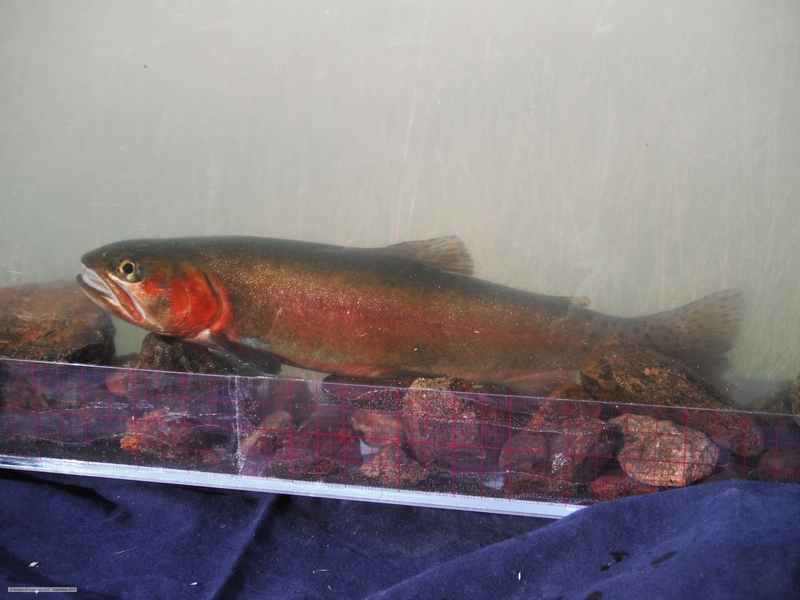 There’s no telling yet, what value this genetic baseline could hold for these trout — or for the complete historical scientific volume of the development of cutthroat trout in the West. 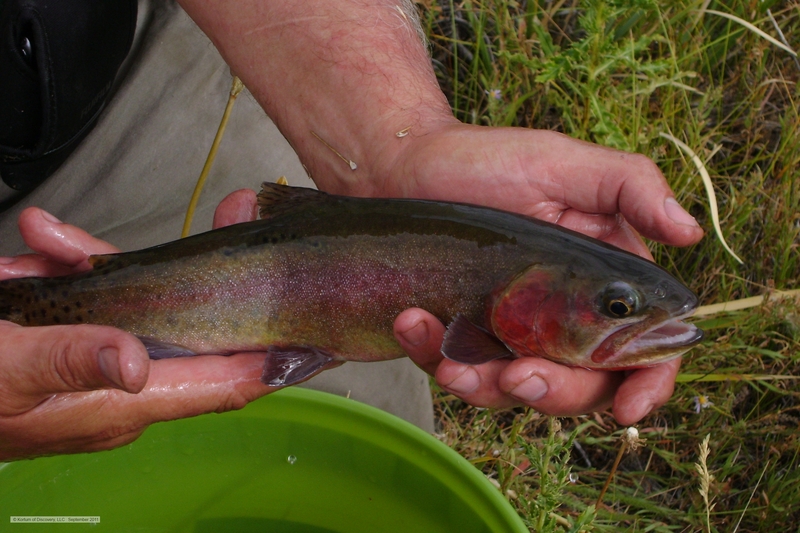 A genetic baseline may yield keys to historical understanding of the Alvord cutthroat trout. A little known bastion of information; of knowledge, composition and perhaps even history resides in a few pounds of alvordensis tissue still preserved, and still “waiting” to reveal its secrets, at the University of Michigan Museum of Zoology. Without the establishment of a genetic baseline — via the Hubbs’ collection at UMMZ — then there is NO WITNESS to bear testimony to the whole truth of what is — or what isn’t. It seems that only DNA counts as a witness and a testimony to the truth of the situation. So, certainly now is a time to “interrogate” the only fully credible witnesses that we have. 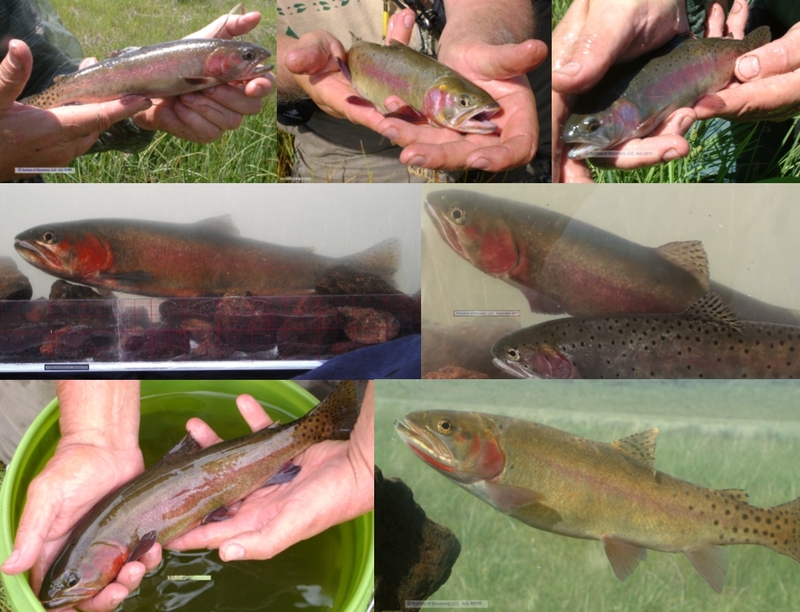 As we communicate with personnel at university genetics labs, with personnel at Trout Unlimited chapters and other possible agencies or organizations – we hope native trout enthusiasts and conservationists across the country and throughout the world will lend support and encouragement to the ‘powers that be’ holding the keys to the future of the remnant of a species that once was – and only by concerted sagacious effort – can still be. 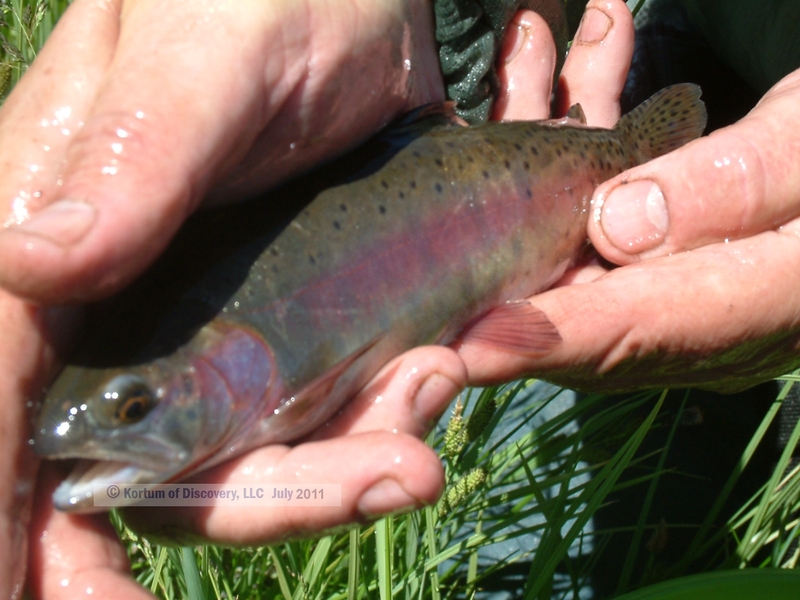 This entry was posted in Fisheries Biology and Genetics, Narratives, Observations, Of Fauna and Flora, Photo Journals. Bookmark the permalink.